Man, oh, man. We are talking about my JAM today! 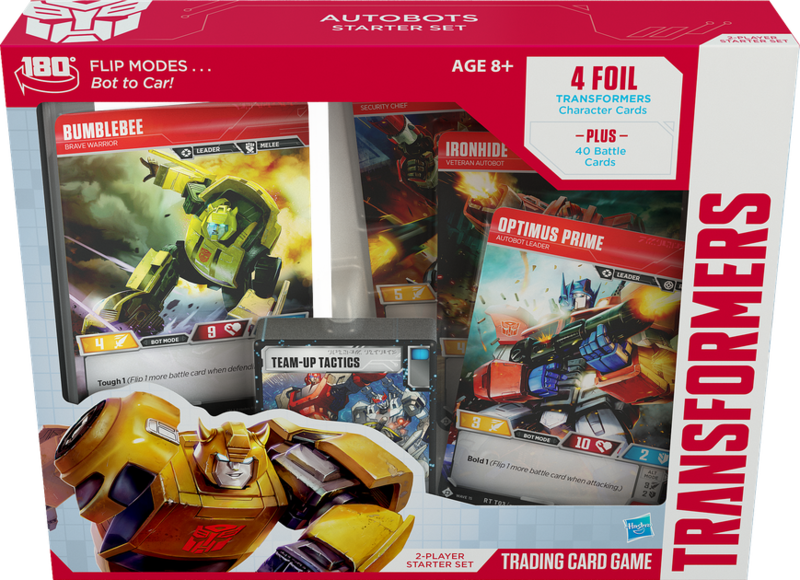 Well, the folks at Wizards of the Coast have teamed up with Hasbro to deliver a Transformers trading card game. Now, Wizards of the Coast has a pretty good history of delivering a good TCG experience. They are the publishers of a little game called Magic: The Gathering. Maybe you've heard of it? 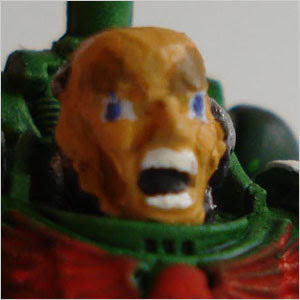 So, with that kind of pedigree behind it, will Transformers shape up to be another juggernaut for Wizards of the Coast, like Dave Grohl going from Nirvana to Foo Fighters, or will it just end up being Queens of the Stone Age? The Transformers TCG is a collectible card game where players assemble their top teams of Autobots and Decepticons to battle out for supremacy. 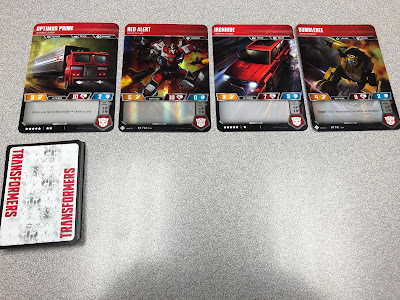 Much like other TCGs, Transformers has players come to the table with a pre-constructed deck of cards that contain all of the tricks and power-ups you're going to use in the game. 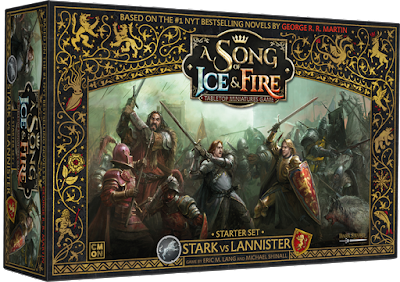 However, unlike most card games, all of your troops start the game on the front line! There is no summoning or anything like that. 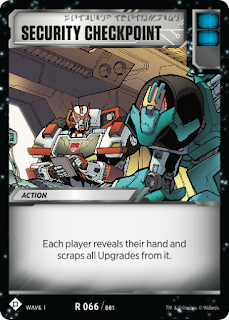 Each Character card has a number of stars on the bottom of their card. This is like their total value, and your team of Transformers can't total a number of stars higher than 25. 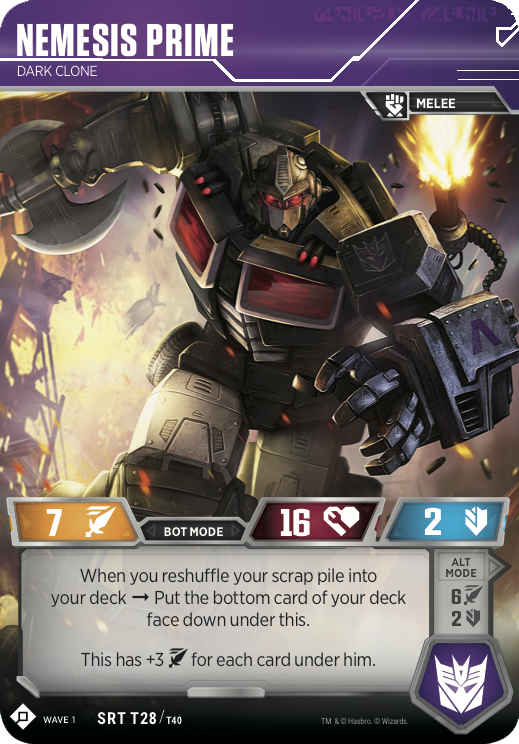 This "All Your Guys Up Front" concept reminds me more of tabletop miniatures games like Heroclix or Warhammer. On your turn, you can do any number of things, such as transforming one of your characters, playing upgrades or actions, and attacking. When you attack, you tap one of your characters and compare your attacking character's Attack (in orange) to the defender's Defense (in blue) and the difference is dealt in Damage to the Defender, but there's another wrinkle at play here. In addition to declaring your attack, BOTH players reveal to top two cards of their respective decks. You see, in addition to having an effect that resolves after they're played from your hand, the cards in your deck also have a number of symbols in the top right corner that are either orange, blue, white, or non-existent. If you're defending, and the cards you reveal have blue symbols, you gain that much Defense, so Security Checkpoint (pictured above) would grant +2 Defense if revealed from the top of your deck, while, if you're attacking, orange symbols would increase your Attack. While this may initially feel like an added bit of randomness, it actually adds quite a bit of tension to the game, as it makes each battle feel like an EPIC game of Rock, Paper, Scissors. I actually really like this mechanic, as it adds even MORE strategy to deckbuilding in this game, however, the problem is that this is the ONLY way to surprise your opponent, EVER. There are no traps or counters or instants or interrupts or ANYTHING that lets you do ANYTHING that is not on your turn. You can only play cards form your hand, or trigger effects on your turn, so after you're done, you kind of just sit there on your opponent's turn, like a crazy person. 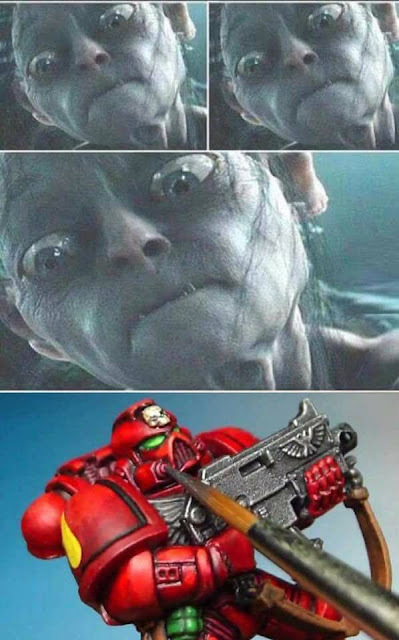 Taunting them, because that's all you can do! There's nothing you can do about anything they do on their turn AT ALL but pray for a deus ex machina from your deck! 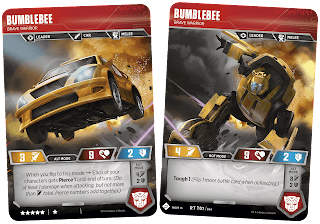 Okay, so the art on these cards, especially the character cards, is fantastic. And they're all here, too. 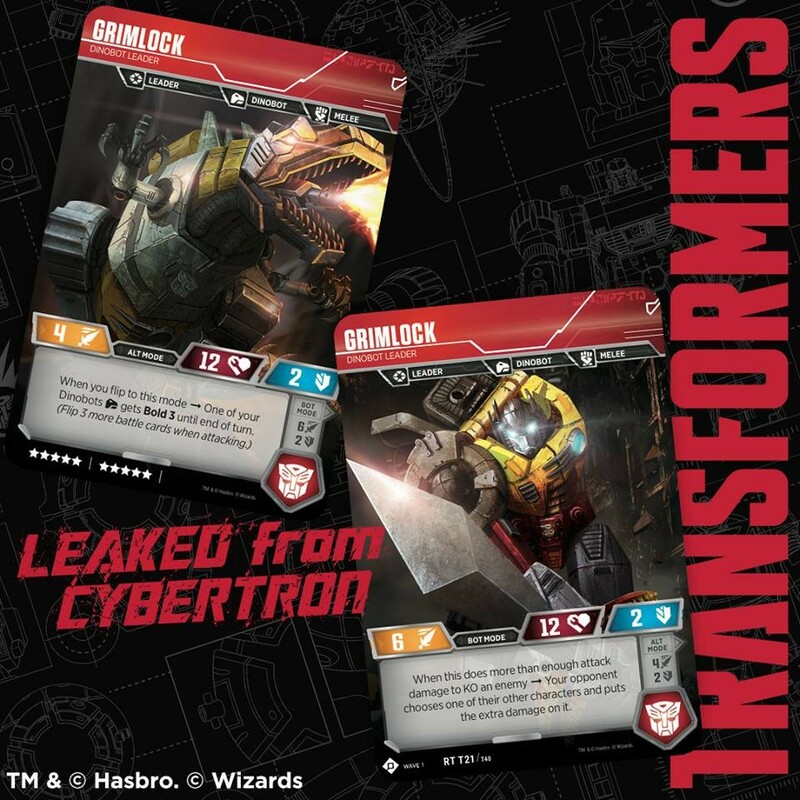 You've got multiple versions of major players like Megatron, Starscream, and Bumblebee, but you've also got EVERY SINGLE DINOBOT from Swoop to Grimlock! There is a noticeable absence of Soundwave and his cassette tapes, or ANY of the Combiner style Transformers like the Constructicons, even though with this format I could easily see a team of six 4 Star robots that when flipped create a SINGLE GIANT PICTURE of DEVASTATOR, but I guess that's what expansions are for. I also like the fact that there is nothing that prevents cards from being used together, such as class restrictions or alignment. 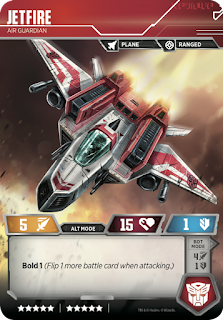 You could very well make a playable deck with cards that you get JUST from boosters. There's no energy or land cards that you can ONLY get from the starters, and I think that helps lower the intimidation factor of getting into this game. Buy It!, Try It!, or Fly It! So, I kind of have a hard time with this game. Because I like it... Kind of. There's a lot of stuff TO like. Great artwork, easy to get into, and no card restrictions based on alignment or character class, though there are cards that are only for specific characters, such as Starscream's Null Ray. This all makes this game a great system for GETTING INTO trading card games. However, the game play leaves a lot to be desired. There's nothing wrong with Rock, Paper, Scissor gameplay, in fact, that's what I love most about this system! My issue is the apparent lack of agency you have during your opponent's turn. Other games like Magic or even the Munchkin CCG, there's an element of bluffing that goes on, where you're almost daring the other player to try something because you have something SO JUICY up your sleeve. But in this game, they truly are JUST WORDS, because you can do absolutely NOTHING if it's not your turn. 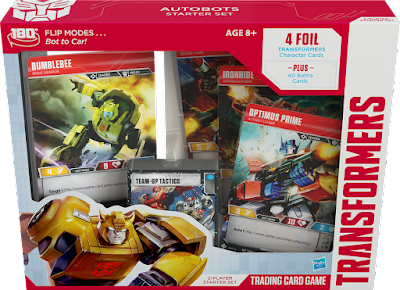 Who would have thought that a card game based on a cartoon which was based on a toy would be designed for kids? But I have to say, with THOSE goggles on, this game makes a lot of sense. 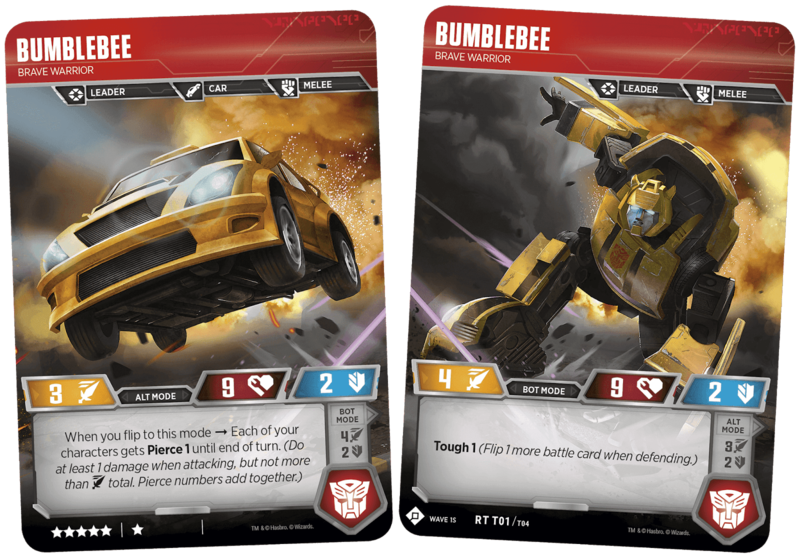 As it is, Transformers is a lot of fun (on your turn), and when you realize that complicated rules like summoning costs and resolution chaining can be intimidating to younger players, you start to appreciate a game system that essentially says, "You want to do that? Do it!"